Thank you to everyone involved! 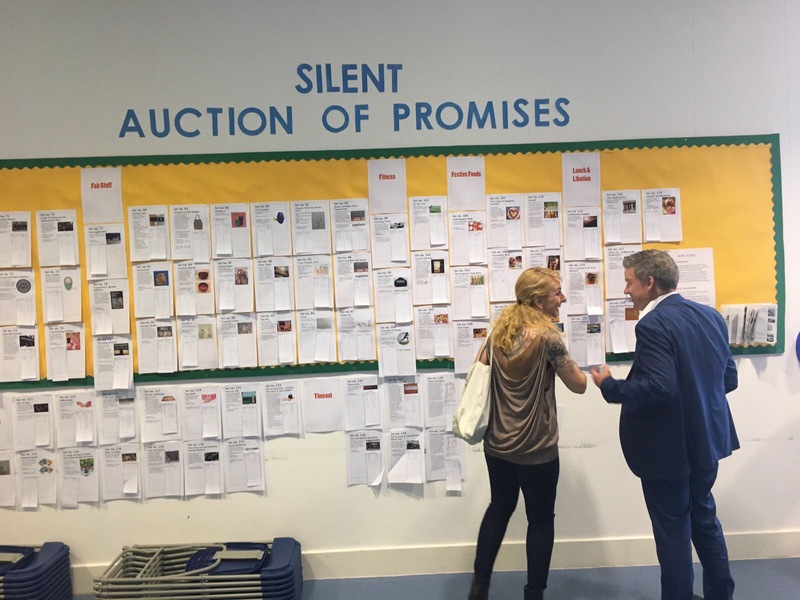 The Auction of Promises 2018 raised more than £14,000! 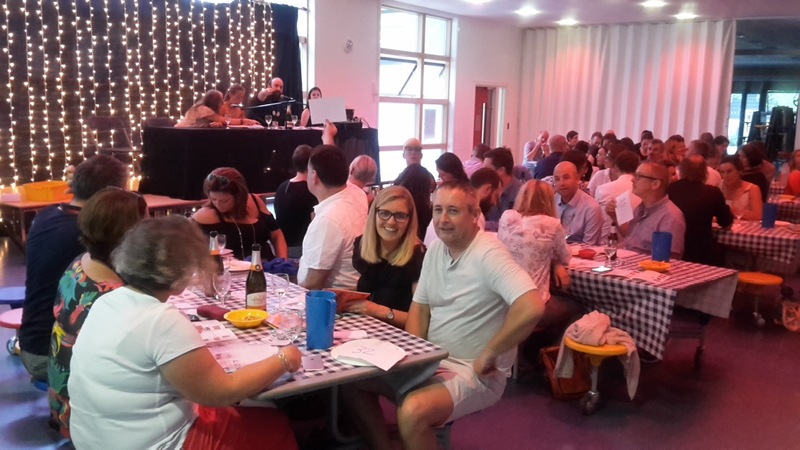 A big thank you to everyone who donated, bid and helped out on the night. Here is the 2018 Auction of Promises Catalogue. The Auction of Promises is our big annual fundraiser! The concept is simple – parents, local businesses, teachers and children donate either a ‘promise’ or an object. Over the years we have been lucky to receive a wide variety of promises, from artwork donated by famous local artists, to theatre tickets, restaurant vouchers, free haircuts and even someone offering to walk a dog! No matter how large or small the promise is, it all helps the community participate, either in the form of donating or bidding. As ever, we are extremely grateful for the support of our school community and local business community. We do hope that you can provide a “promise” for our event, no matter how large or small, be it a physical object or a service. Typically, we receive over 100 donations which are compiled in a professionally produced catalogue. Then, on the big night, these are sold off to the highest bidder. We have many parents who are artists and sale of artworks makes a significant contribution to our income. An exhibition of auction artwork is hung in the school a couple of weeks before the event, so that parents and children can enjoy the contribution of our artist community. 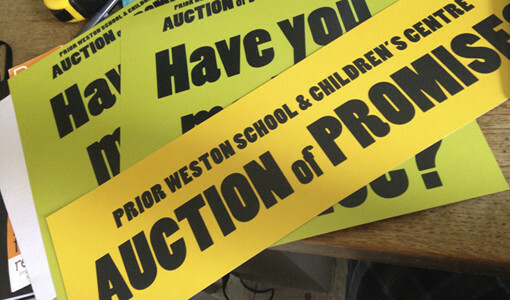 The Prior Weston School has been serving the local community for 50 years. At Golden Lane Campus on Whitecross Street we provide primary and infant education for children 0 to 11.
we try to enhance the school experience for all of our inner-city children.